Product prices and availability are accurate as of 2019-04-21 17:51:56 EDT and are subject to change. Any price and availability information displayed on http://www.amazon.com/ at the time of purchase will apply to the purchase of this product. This classic UniFlame fireplace tool set, by Blue Rhino, has all the tools you need to tend to a roaring fire. The set includes poker, brush, log lifter and shovel. 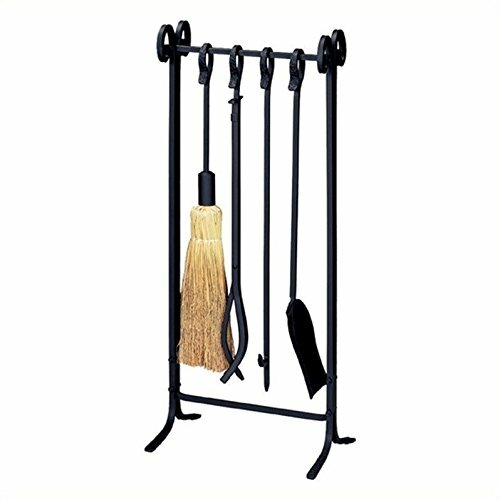 Its popular black wrought iron finish and timeless styling will accent a variety of décor. Tools hang from integrated hook handles that are both attractive and functional.